Whether you are going gluten-free or just trying to eat less of it, trying to reduce carbs or eliminating processed foods, there is a way to get your pasta fix! If you’d like to try a unntraditional variation on pasta that provides an opportunity to squeeze in another serving of vegetables, I also have one that doesn’t require making your own dough. It will keep the heat down in the kitchen, increase your vegetable servings, and even your kids will eat it! The noodles can be cooked or served raw, drizzled with olive oil, then topped with a tomato-based sauce (and feel free to add in other vegetables such as mushrooms, onions, peppers, and even more zucchini!) for additional health benefits. The easiest way to make zucchini noodles is to use a spiral slicer. You can get a great one on amazon with a lifetime warranty for under $40 and it will make curly fries and carrot spirals for fancy summer salads as well. If you don’t have a spiral slicer, you can cut long thin strips with your knife (quarter the zucchini length-wise first.) Some people take the raw noodles and throw them directly into the pan of hot pasta sauce and let it sit for a few minutes. This results in a great al dente noodle without having to boil water or use another pan. If you prefer your noodles cooked a little more or the noodles are cut a bit thicker, saute in olive oil in batches over low heat for 2-3 minutes until soft. Add sauce if desired and serve immediately: a delicious and nutritious alternative to pasta! 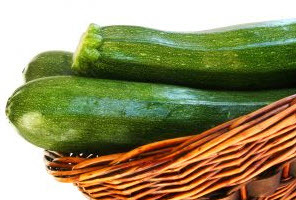 Here is a link to great — and simple — recipe from the NY Times on making zucchini pasta. (I’m including it because it also has a great picture.) Mangia!